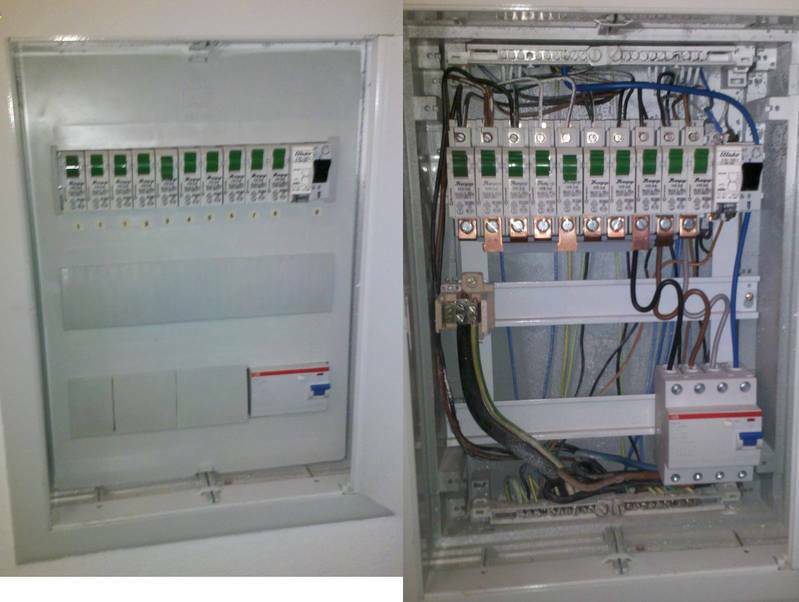 Top row: 16A breakers with 3-phase-busbar. (Nowadays these are plastic covered and finger-safe). Bottom: Newer 40A 30mA trip master GFCI. Ununsual thick ground wire and terminal on the left.